You want to use insect control products that are safe for pets and people to be around. 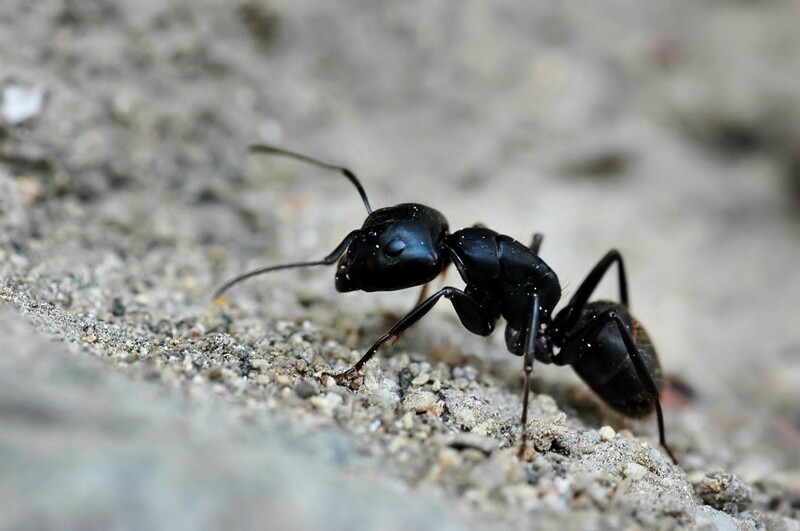 This is a guide about natural ant deterrents. 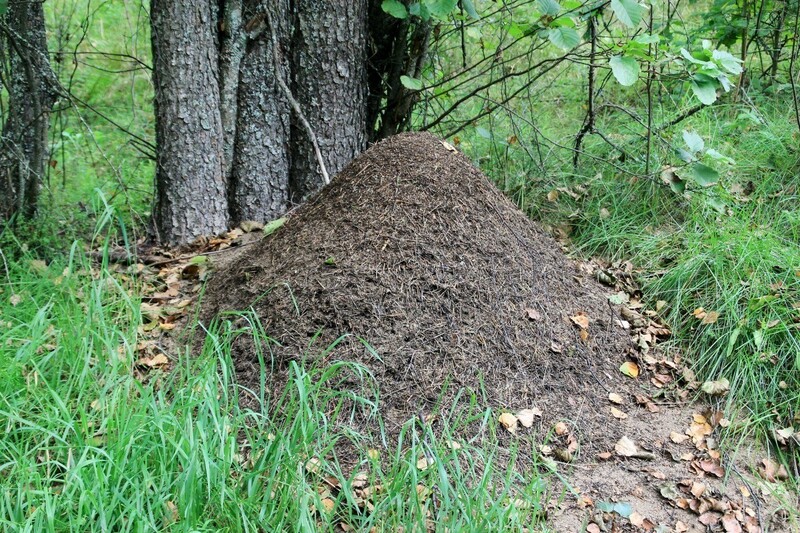 My neighbor had a huge pile of cement ants. She used a mix of 50/50 baking soda and powered sugar. They were gone the next day. I thought the sugar would attract them but it worked. I have used soapy water as well. Ants don't like peppermint either, use oil not candy. Ant killer: Save your orange peels! Mix up equal parts of peels and water in a blender, pour over the ants nest or transfer to a pump-spray bottle to mark a line around your property. A natural solution with no nasty insecticides. Source: An online site on how to rid garden pests. My parents lived in Africa and had an infestation of army ants. A local boy gave my mother some brilliant advice; put ash in a ring around the house. The ants will be tricked into thinking there is a forest fire. My mother did this in a great panick to stop the ants swarming over me as a new baby and, like magic, the ants disappeared! I have an infestation in my kitchen at the moment so plan to put ash across the threshold where they are coming in and post a note if it does the trick on English black ants. To get rid of ants, sprinkle wood ashes or add 1 Tbsp. ground garlic to 1 litre of water and spray. 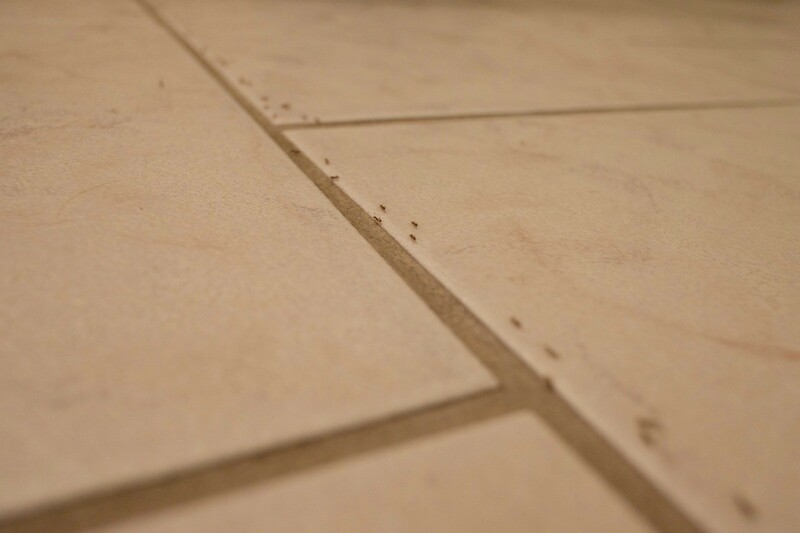 Is there a safe home remedy to get rid of a lot of ants? It has to be safe enough for kids and pets. Yes, simple, cheap and safe! Vinegar. I had a terrible infestation of ants. I tried everything before using the vinegar which was the only thing that worked. I put it full strength in spray bottle and sprayed everything. If I saw an ant I sprayed it with the vinegar. They are gone. Squirt bottle. About 90% karo syrup. Add about 10% 20 Mule team borax. Warm for a very short time to dissolve. Squirt in cracks and areas where ants are near. Worker ants will eat it all and carry back to nest sometimes taking a week. Queens die. Queens can live 20 years and produce many more queens. If you let the workers eat and carry back to nest the whole colony is then gone. If you kill just a line of workers, queen just makes more workers. Safe. Not a poison. You don't want kids, pets or wildlife ingesting it. Question: What Can I Use to Get Rid of Ants? I am having a terrible time with ants this year. What chemicals or natural products have you used to kill them? There is a product that can be found at Wal Mart, Target, KMart, or any hardware store. It's called Terro. It comes in a small 2 oz (or so) bottle. Here's what you do. You watch and find out the path that the ants travel. Then you take a small piece of paper or cardboard maybe 1 inch square or so. Put one drop only on the paper and place it in the line of travel of the ants. It will attract the ants, they will eat it and get it on their feet and carry it back to the nest. It takes approximately 12-24 hours to work. Depending on the size problem you have, you will be ant-free in 1-2 days. I've read many many reviews of this product, and use it myself when they invade my home, and have yet to hear of anyone who didn't have success with it. Sweet-n-Low...that's right, Sweet-n-Low. Here in Texas we get ant piles in the yard every year, sometimes several times a year. Open up a packet or two or three (depending on how large the pile is) and sprinkle it on and around the ant pile. It is tracked back in to the source and in a day or so all the ants are gone. We have been doing this now for several years. Use cornstarch, the ants fill up on it, it expands in their stomach and the rest (and the ant) is history. Kill the whole nest as queenie can produce many more queens and queens live for up to 20 years. About 10% 20 mule team borax warmed just a little in a squirt bottle with Karo syrup. Put a squirt here and there but never where an animal can lick it as it is attractive. Ants carry it back to the nest and the whole nest is destroyed. It really depends on what kind of ants. Some are sweet loving and Terro will work well-others are protein feeders and Terro will not be so good. The corn starch and grits myths do not work because ants do not eat solids. Their larva eat these substances and excrete out a harmless but nutritious liquid they can eat. Is there an ant control that I can mix myself? Mix everthing together and shake well before using. You can also replace water with 130ml Virgin Coconut Oil if you plan on applying this to your body. Somewhere on this site some one recommended Sweet N Low. Just open a bunch of packets by your ants and watch them eat up. They take it back to the nest and die, somehow. I'm experimenting right now with powdered meat tenderizer the kind with papain in it. Using it the same way as above, I'm thinking that the papain will destroy their bodies. Gee, I sound grusome! Good luck. There are so many ideas for your problem on this site, check it out! About 10% 20 Mule Team Borax in Karo syrup warmed for few seconds, just long enough for it to dissolve. 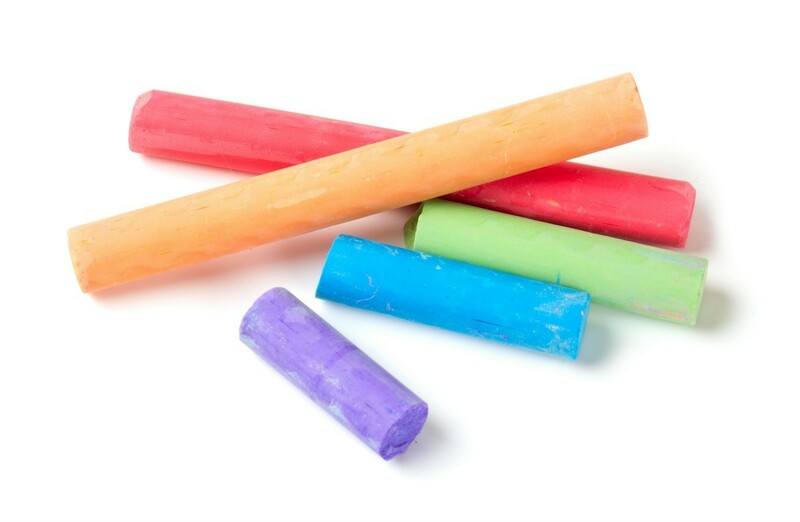 Squirt between cracks or put in places where pets or wildlife will not be able to lick. Workers carry it back to nest and the colony is destroyed. Queen and all. Queens live for up to 20 years and produce lots of other queens for new colonies. This method takes up to a week but is very effective. I use diatomacaeous earth, which is a natural product. It is not homemade, but it is not harmful to people or pets or wildlife and is not a poison. It kills them by shredding their exoskeleton. The brand I use is Insectigone Ant Killer. I have only ever used it outdoors. It may take several applications. It is safe for indoors, as well. What is a natural way to get rid of ants? Outside - sprinkle their anthills with diatomaceous earth; it is sold under different brand names. You have to read the labels. It is a white powder, made from seashells. It is harmless to pets or people - everything but insects. Talcom powder across your doorstep or along the wall where they are comming in will do it. They won't cross it and it is safe to use. In a spray bottle mix water and ammonia. 80% water and 20% ammonia. How to get rid small house ants without chemicals? Borax, sugar, and water in a small lid. Equal amounts of borax and sugar and just enough water to disolve. Set along edges where they like to travel. They take it back to the next. After about three days, you not see any more for a while. Grits! They take the grits back to the nest and when eaten, it will swell in their stomachs and kill them. Good for ant beds. Pour all over the ant bed. 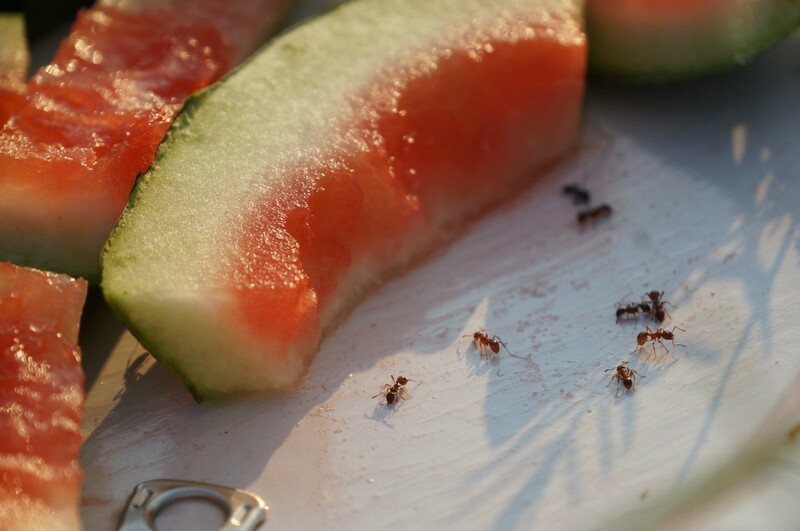 If it is the teeny sugar ants, meal will work. Do any of the non poison remedies work for getting rid of black ants? Our home is overcome with ants. We have children and don't want to use heavy insecticides. What can we use to get rid of them? Looking for the post about getting rid of ants using peanut butter, sugar and 1 other ingredient. Many pesticides are harmful to the environment as well as the pests you are trying to eradicate. If you use boiling water for getting rid of ant hills it is completely safe and quite effective. When ants digest cream of wheat, it expands in their stomach and kills them. This page is about using cream of wheat to fight ants. 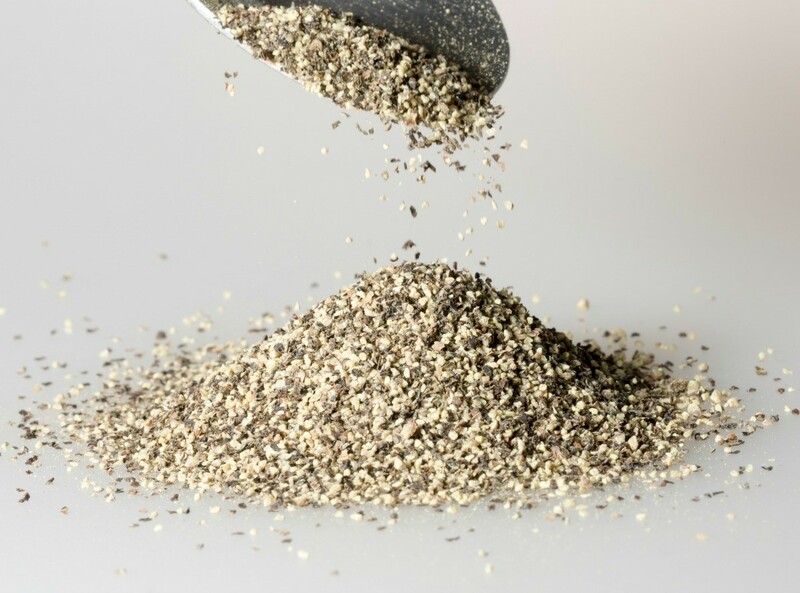 Black pepper can be used to help repel ants without using harsh chemicals. This is a page about detering ants with black pepper. Some homeowners have success in deterring ants from coming into their house using a line of ground cinnamon at the entry point. This is a guide about using cinnamon to deter ants. Thank you, Jenny. We get ants at work in the springtime. Baby powder sprinkled on your counter or cupboard shelves deters ants. Here is a really good tip on keeping bugs away, like ants. I use bounce dryer sheets and stick them under stuff and in drawers not only do they make them smell good they keep away bugs.